Almost all the interesting things that happen in a piece of chicken happen between about 50 and about 60 C; it's where the fraction of soluble proteins starts to take a nosedive and the fraction of soluble collagen starts to rapidly rise. In a water bath this is going to be fairly homogeneous---the temperature in one part of a piece of meat will be pretty close to the temperature in other parts---while in conventional cooking you're going to see much more variability. This is important because meat's a pretty complex system, and when you give a temperature for the denaturing of a particular protein, this might be good for that protein in isolation, but the exact temperature an individual protein in a particular piece of meat will denature in actual practice will depend on a bunch of other factors, and so any number will be more of a probabilistic approximation than a scientific law or whatever. My point here is that a surface temperature of 155 F/68 C (or whatever) might be something that a piece of chicken can hold up to via some methods (say deep frying) and you won't necessarily see all of the bad changes that negatively effect texture and mouthfeel, but in a puddle machine you're effectively moving the entire piece closer to the `brink' of that condition, so you might have problems at say 150 F/65 C.
I usually do poultry in the puddle machine at around 57 C/135 F to deal with this without having to dance around with having to do the whole hydrotherapy thing to cool the meat---I just rest it for a couple minutes between puddle machine and sear, which also gives it time to dry off a bit, which also helps with the sear. It's something you can play around with by feel---as long as you're holding for long enough (and the hold times around 57 C are around 45 minutes, so if you're doing a several hour cook this isn't an issue) there's no food safety issue, so you're just loving around looking for the texture and mouthfeel you like. Duck and turkey can handle being vizzled at lower temperatures without getting squoogy, but if I think the general belief in low temperature chicken having a hosed up texture is largely overstated. In any event, it's something that you can certainly just experiment with until you find what satisfies your personal preference. ...but has a specific heat of about half that of water (2.46 J/g °C versus 4.19). And the average household freezer is calibrated for about -18 C (0 F). So if the object you're trying to cool is at 60 C (140 F), then what you're interested in is the fact that a gram of pure ethanol at -18 C will eat about 192 J, while a gram of pure water at 0 C will eat about 251 J (to get either to 60 C). 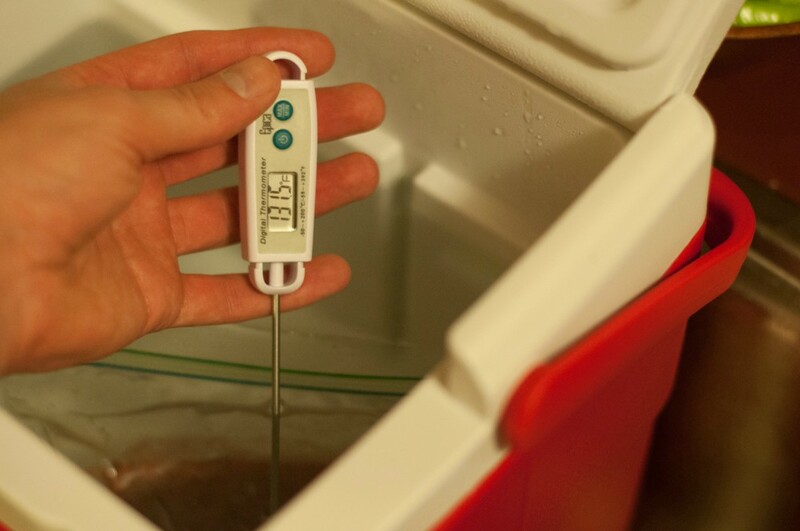 You're much better off just putting a bunch of ice cubes in water and using that as a water bath if you want to cool something off quickly. 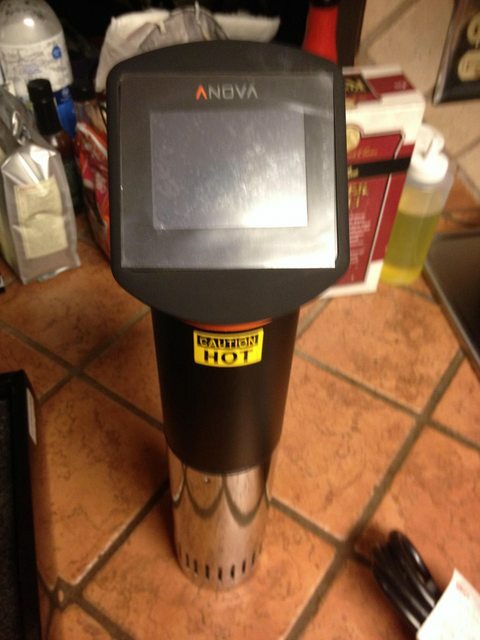 Just ordered the Anova. Gonna run by one of the restaurant supply places around here and grab a decent sized bin and find some ping pong balls somewhere else. What is the deal with the ping pong balls? They reduce the surface area of the exposed water, so less evaporation. They're also a decent insulator/lid for those using pots or buckets instead of a standalone unit. The idea is that a bunch of ping pong balls will conform to whatever size or shape container you have. But I have to wonder, wouldn't foam cut to shape be better? I'd want to do a test with actual numbers, but it seems like a layer of aluminum foil would get the job done pretty darn well. Pretty much. The lids on the SVS Demi are like thin sheet metal, so it's not really a big deal. 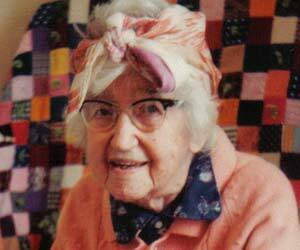 I have a piece of heavy felted wool that I keep over the top, but it doesn't really make a difference. SubG or someone else that might know the physics more might correct me but I think you actually don't want to insulate the SV(S|D) lids so that the convection effect works better, it is my understanding that the higher temperature differential the more movement on the currents. At least that would be my guess without experimental data. Of course this all goes out the window if you're using a bubbler for water movement. 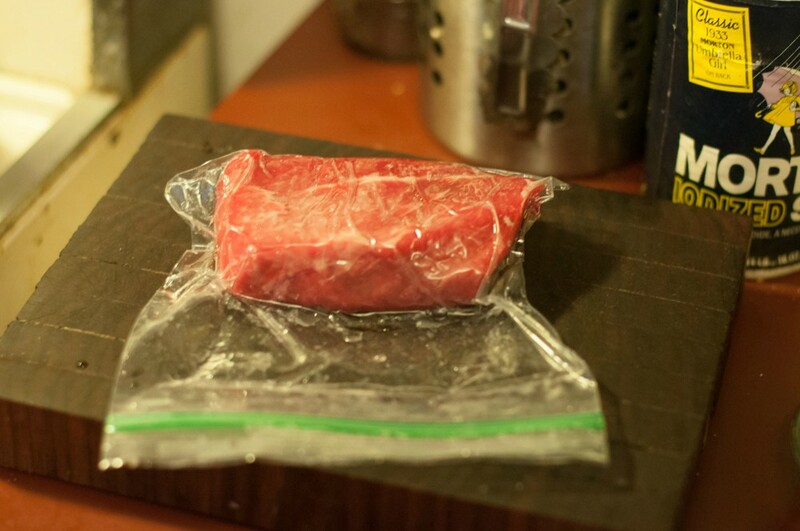 Put the steak in a ziploc bag, then mostly submerge it. 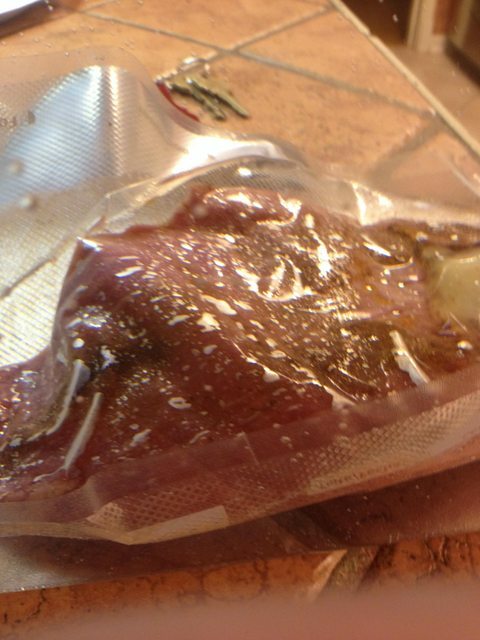 Let the air out, then close the bag to make a near vacuum seal. Shut the cooler and kill some time. A beer helps. It looks kinda rubbery and grey, though. How are we going to get that awesome crust? Oh. That looks exciting. Really exciting. 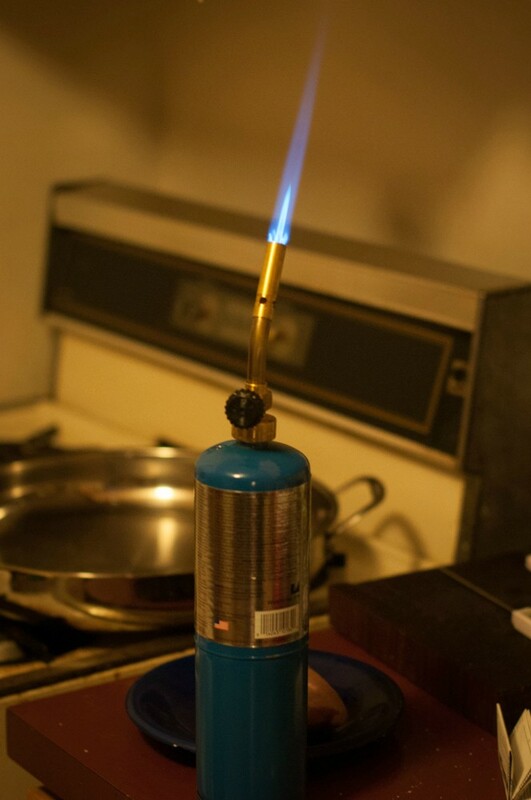 Hell yeah, using a propane torch. Searing the crap out of the steak. 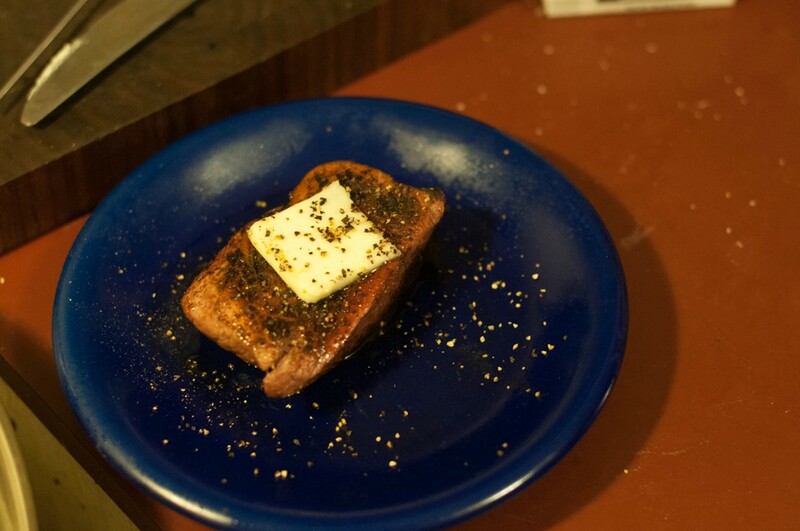 This is easily the best two-dollar steak I've ever had, and it was really fun to make. 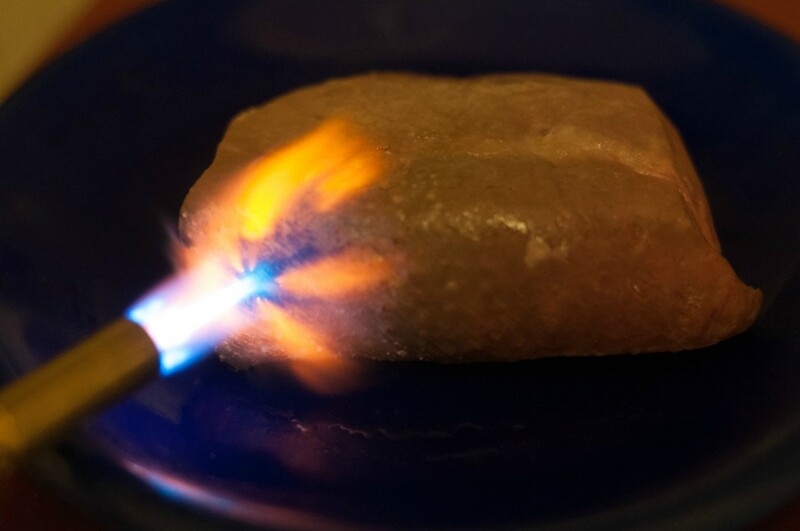 Using a larger steak would only make it better, as would being a bit more careful with the blowtorch while searing. 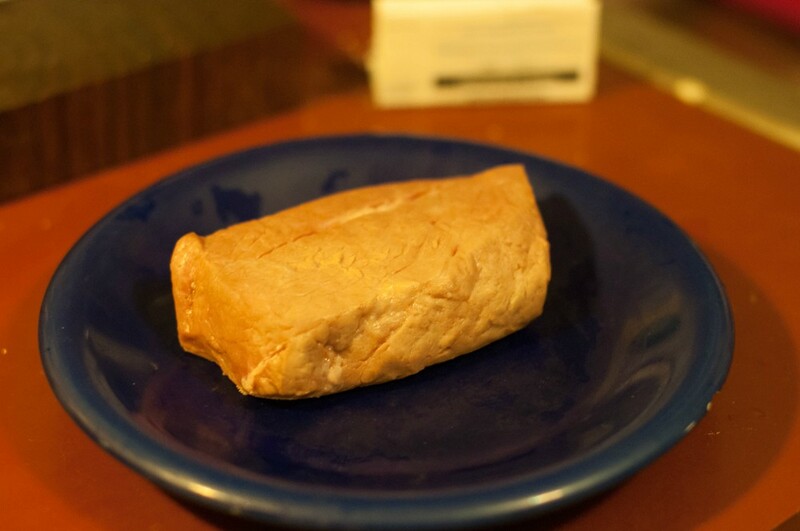 All in all, though, tonight's sous vide experiment is a serious success. 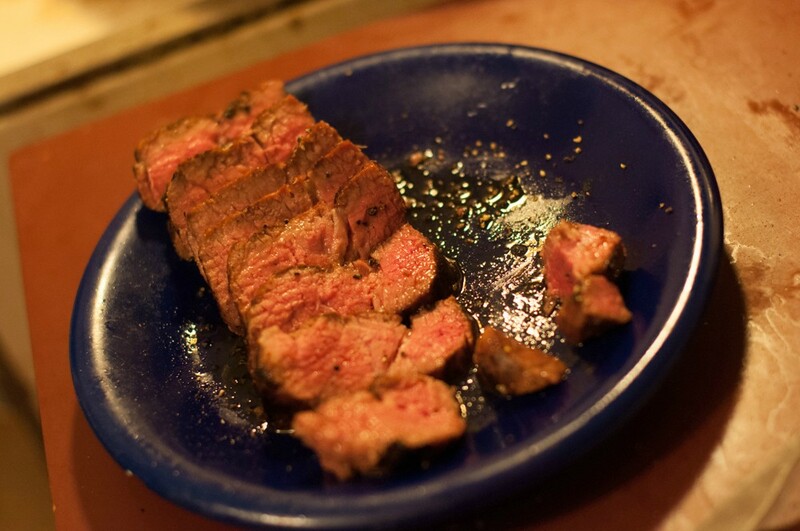 A ~six-ounce tri tip made for a delicious meal. I've had a nice big short rib cooking for 48 hours @ 60* C, what's the best way for me to sear and make a sauce from the bag juice? 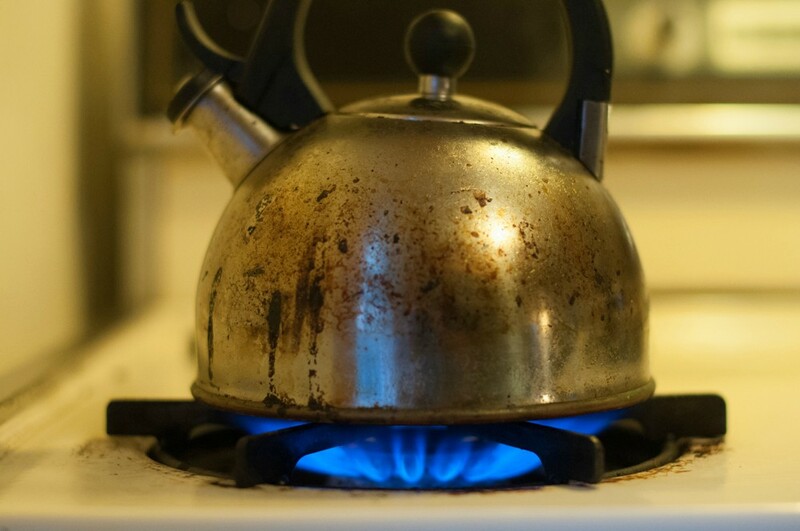 Be sure to watch that pan like a hawk, once the water's cooked off it will burn pretty fast. Sear it in the biggest skillet you've got. Get it really hot, then drop it in and turn it often. Once you've got the degree of brown you want, pull it out. Then add a bit of fat and some shallots or onions. Cook for a minute, then add some whisky to deglaze, scrape up the solids, then add the bag juice. Cook it down a little, then you've got your sauce. 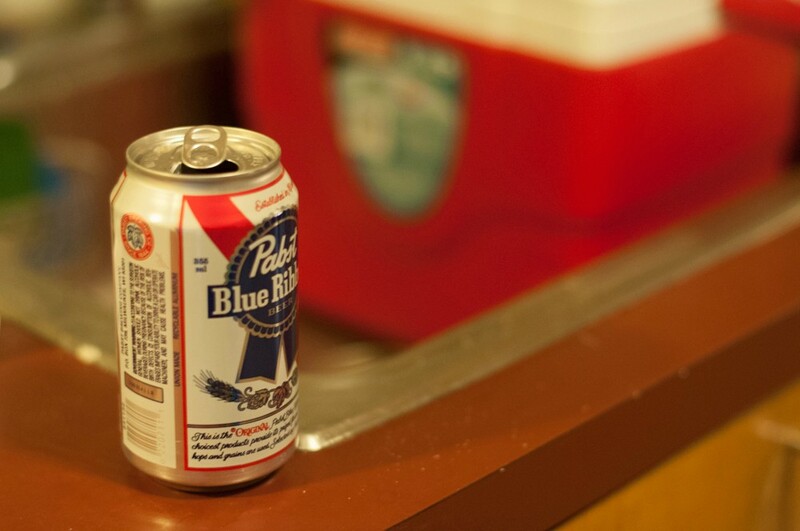 I've used that same cooler for SV steak, so I commend you on that. Next time sear your steak on a ridiculously hot cast iron pan. 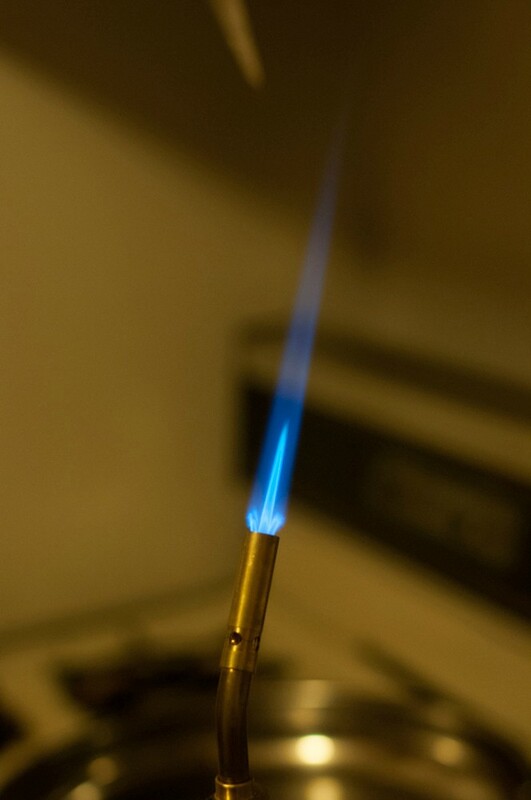 Doing this will give you a much more even crust, compared to your torch. 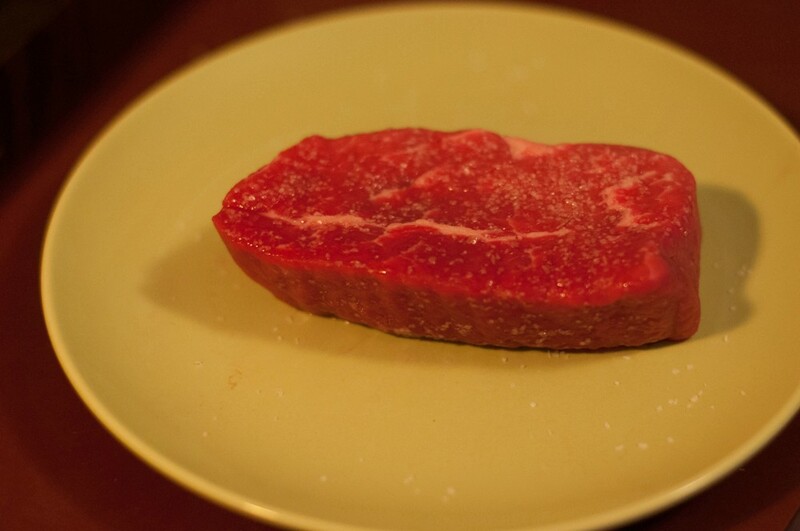 Also, I've never seen a SV steak look pale like that before searing. Usually, steaks look like they have never been cooked. It seems to me like you managed to overcook the outside of your steak while SVing it. Maybe add more water next time and be sure to mix the water every 30 min or so with a big spoon to keep the temperature more even. If that was a 2 dollar steak, you can keep trying different methods of SV and not feel bad about it. Try cooking it for longer next time - maybe 3 hours or so. Report back with your steak results. Torch searing doesn't work as well as throwing the steak in a cast iron pan. 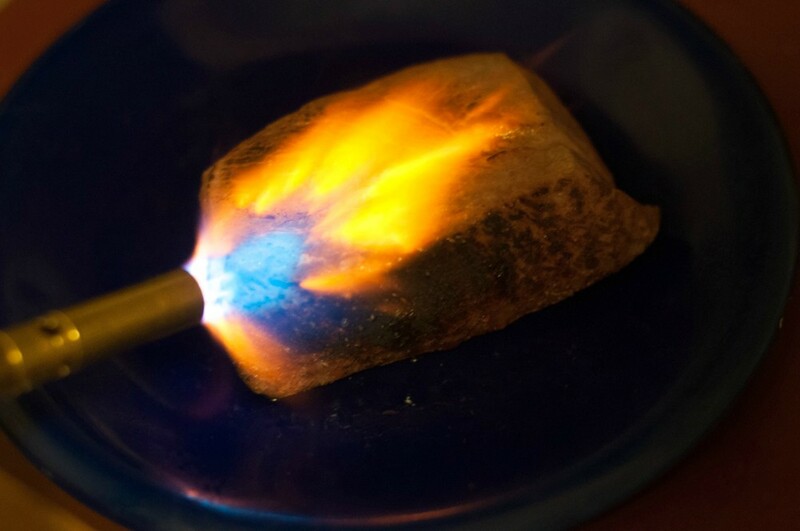 Use the torch to quickly dry the surface of the steak and then sear it in a hot pan. I looked all over the OP for this, and perhaps I missed it, but what are some good books or websites that provide a good overview of SVing different types of meats as well as temperature/time charts? I'm considering that Douglas Baldwin book that seems to be referenced often in this thread. What about a book/site with pictures similar to the OP where it shows how it looks after SVing at different temps? 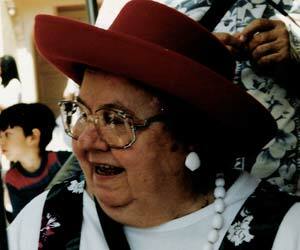 The book that got me started on SV was Joan Roca's. It's wonderful, I got it while visiting family in Spain because it looked neat and the english copy was stupid cheap. I feel it's equally relevant to home cooks and restaurants, but it's definitely restaurant oriented, it even has a fairly thorough HACCP chapter. If you can find a cheap copy it's well worth a read. Thank you guys, I will check those out. I'm looking at the ziplock/submerging method of "vacuum" sealing and am I correct in thinking that it would take more oil in the bag than using a traditional vacuum sealer? like for example, if I wanted to cook a steak, I would have to dump some olive oil in the sack? Whereas with a traditional, I could use solid butter or forego it entirely? This alone would make me want to spring for the sealer. No need to dump olive oil in the sack, if you have a lot of air on a ziplock bag just adjust the time up a little bit, it's probably not even that big a deal as long as you can keep the bag submerged on your puddle as the air will tend to go to the tippy-top of the bag. Ive been wondering-what's the reason for the bag in a vacuum seal? To me it makes sense you would do it so that none of the product remains out of the water due to it floating because of air left in the bag, thus creating a product that gets heated to the same temperature/consistency all around, but is there anything other than that? On the same note, why am I adding butter or oil to the steaks and chicken I've sous vide already, when I still add oil to the pan prior to cooking? I don't add oil or butter to the vacuum pouch for steak. 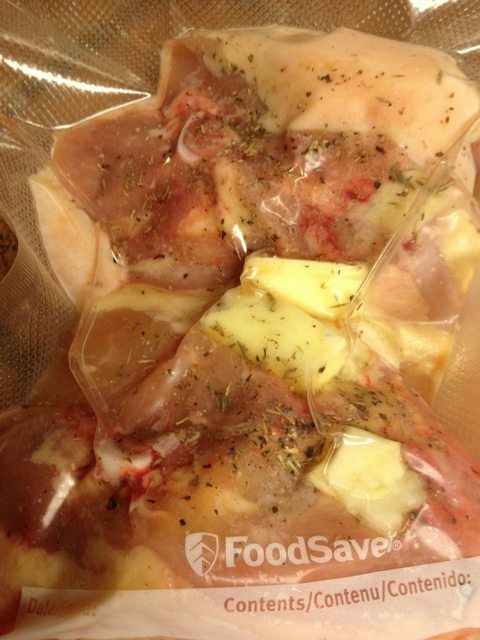 A vacuum sealed pouch lets you pasteurize food and then hold it cooked in the bag so you can reheat quickly and sear. For home cooks I buy meat and such in bulk and vacuum seal to preserve individual portions. Then I plop those in the water bath. Yeah, I didn't take pasteurization into account at all, so that's what I'm missing. The reheat quickly part interests me the most and is something I know I'm not taking advantage of. I cook for two people and I'll just sous vide two steaks for a few hours and then sear em and call it dinner. How would this work if I wanted to cook say, six steaks and two chicken breasts for the week? I'd hold the steaks at 130 for a minimum of an hour roughly and then raise the temp to 140 for the chicken. However, what happens after that since I won't be cooking them that same day? Do I freeze them or put them in the refrigerator? How long will they be good for in each state? Then, when I'm ready to cook, I suppose I need to put them back into the water bath at 130 to bring them back to temp before doing a quick sear, right? Just trying to get the most out of this method and want to make sure I'm not overlooking something. Edit: This helped answer my questions. I need to read more! It really is mostly for the best contact area between the meat and the water. Have air bubbles screws with that, and having a fat in there can take up those spaces and transfer heat well. I personally don't add a fat unless I'm adding a flavoring, herbs or whatever. The fat will help circulate the flavors a bit in the bag. You should be finishing the steaks with a little butter, not cooking them in it, anyway. 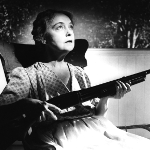 That stupid Ducasse article made people into buttersteaktrolls. On that note, what's the best thing for a first-timer to try? Steaks? Do a midrare short rib. I was actually thinking I'd put that as #2 on my list... I don't have the patience to wait 48-72 hours for my first meal with this thing . 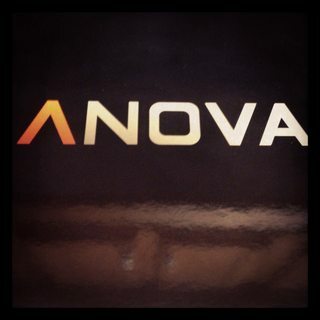 Just got an email that my Anova shipped. Hooray! 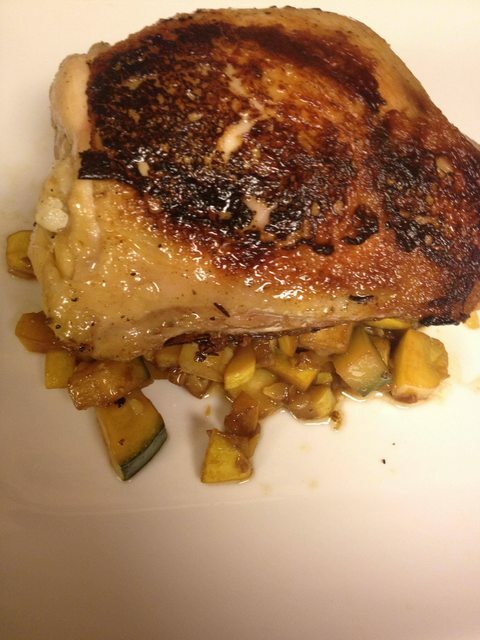 Set it to 135* F, and cook multiple items at that temp that require different times. 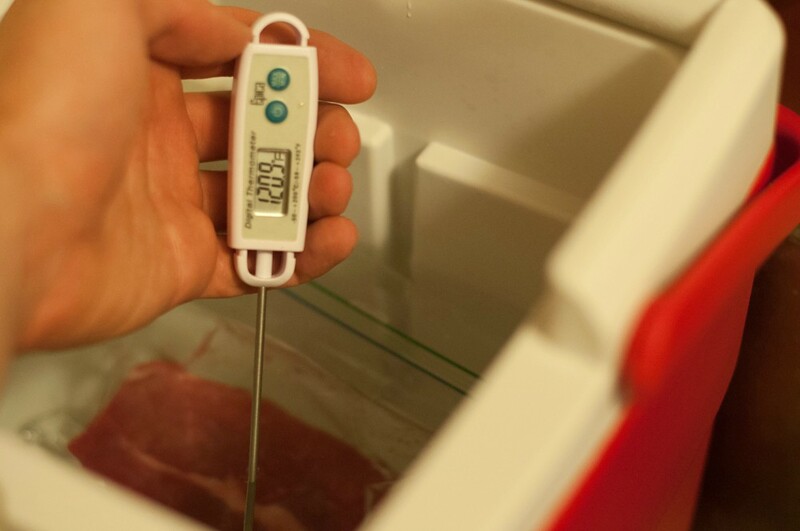 The Anova is also decent enough that there won't be a huge temp dip if you add an item halfway through a lonk cook, max deviation I saw was a degree or so when I dropped some room temp chicken into my 72 hour short ribs. Chuck roast just after being thrown in. Just under 24 to go. It's probably worth noting that for pretty much anything you're going to be cooking at home you really don't have to be worried about temperature variations anyway. It's cool that most ICs can keep the temperature stable to plus or minus a fraction of a degree, but there really isn't any part of the cooking process that's going to be that sensitive. You kinda get the idea that +/- a fraction of a degree C makes a big difference from things like all those sous vide egg charts you see that have pictures for every degree or whatever. But those are kinda misleading, because (as anyone who's done a shitload of eggs will tell you) there are variations between individual eggs that will result in palpably different results even when done together in the same water for the same length of time (this is particularly true of the behaviour of the white, which appears to produce noticeably different results from the same treatment depending on the age of the egg). And that's sorta at one extreme---eggs are comparatively sensitive to temperature differences, and they're comparatively homogeneous. If you're looking at a steak or a duck breast or some short ribs or whatever, there's going to be way the gently caress more variation between individual servings and they're far less sensitive to minor temperature variations. I've been looking at various things to try and lobster has caught my attention. Anyone done it before? There seems to be such a wide variety of temperatures (~120-140 F) in the recipes I've seen. I'll probably end up doing 135 for convenience sake if I'm going to throw it in with the short ribs. I'm also curious to try some crab using the same method as the lobster. A lobster tail done to around 50 C/120 F will be barely done, and the texture will probably put most people off. A target of 55 C/130 F is going to be more firm, and will probably be the closest thing you'll get to a `rare lobster' experience. At around 60 C/140 F you'll end up with something that's about as firm as the typical lobster tail produced by traditional means. If it was me, I'd still steep the lobster meat in solution of water and vinegar before sealing them in a bag with some unsalted butter to more or less reproduce the method Keller popularised. That being said, this is one of those things where I'd consider just doing it all in a pot because you're not gaining much by doing it in a puddle machine over the more traditional approach. I read somewhere that the butter poached method doesn't work as well if you do butter-in-bag and then in a sous vide because the butter doesn't get to circulate around the lobster meat. Thomas Keller used to do the bagged method but apparently switched to the bath method after some issues with New York's health inspectors. He has an entire container-full of beurre monte kept at 59.5C (139.1F) for his lobster tail meats now. 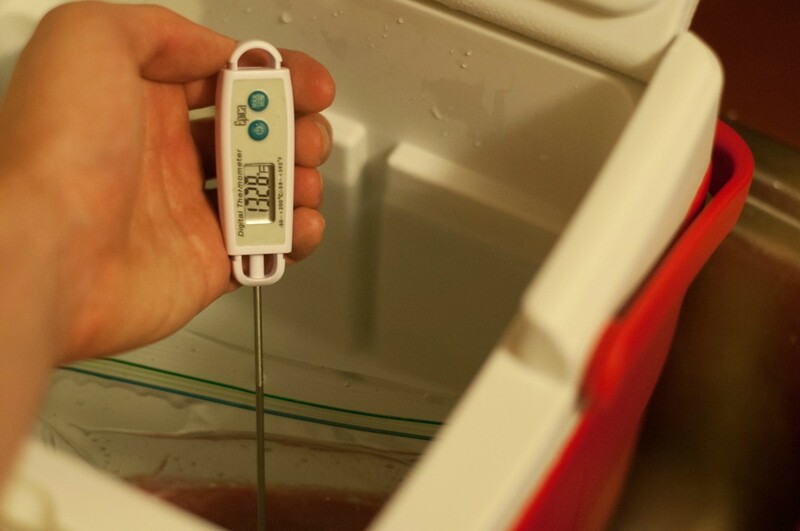 Recommends 15 minutes at this temperature but can go 10 minutes longer if you are busy doing other parts of the dish. Check restaurant supply stores in your area? We're in a quite small area, so nothing around here, hence the internet ordering… Probably not a big deal, just deal with the bigger one, or use a smaller pot. I'm using the 8in ~27QT guy for mine. Lots to move around and I'll probably find something smaller for smaller cooks. Flank steak is insanely good s-v'd. I read somewhere that the butter poached method doesn't work as well if you do butter-in-bag and then in a sous vide because the butter doesn't get to circulate around the lobster meat. It's not really a question of circulation so much as it is of immersion. Depending on how strong the pump in your vacuum sealer is and how grippy the bag is, you can end up with a section on the `top' and `bottom' where the seal with the bag prevents the liquid from reaching the meat. This really isn't a problem if you're using the ziplock-and-Archimedes method to seal the meat, and I really don't notice it with my least-common-denominator, weak-rear end Seal-a-Meal. 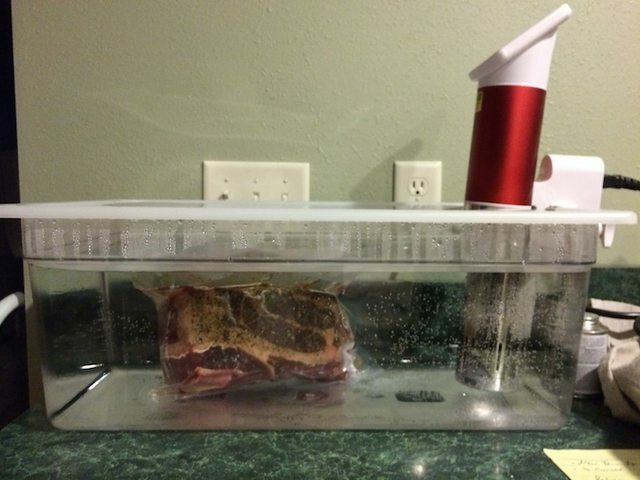 If you have a chamber vac you might want to do something to prevent the walls of the bag from sealing too tightly against the meat if you're worried about it---e.g. by putting the meat in something like a ramekin, filling the excess space with melted butter, and then sealing that. Thomas Keller used to do the bagged method but apparently switched to the bath method after some issues with New York's health inspectors. I don't know the details, but I can't imagine it being an issue. Butter will pasteurise just as readily in a bag as in a pot. Are you sure the issue wasn't the result of using butter as the sous vide medium? 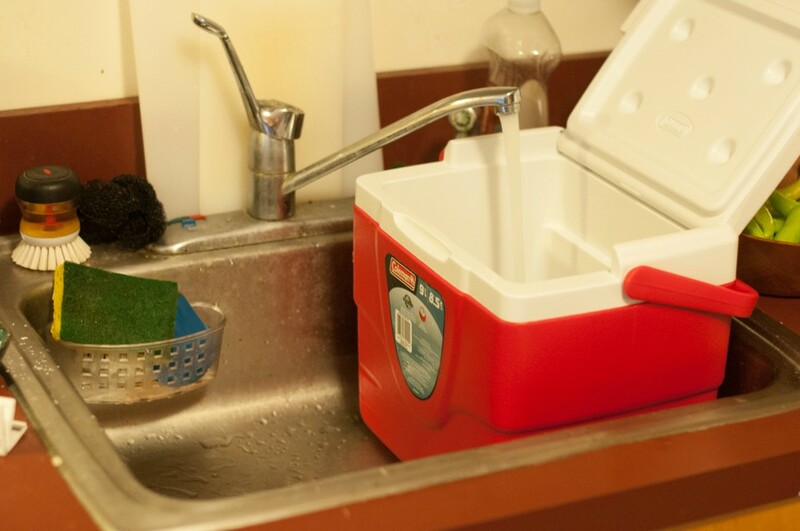 This is something a lot of people do---instead of sealing the stuff to be cooked in a bag and filling the reservoir with water, filling the reservoir with some other liquid (e.g. butter) and cooking the food directly in that. I could see a couple of issues there that a health inspector might object to---the IC itself not being rated as food safe, or the container not being rated for temperature (and so potentially leaching BPA or whatever, which is something you'd have to worry about if you were cooking `directly' in a cambro). Like I said before, I'd probably just do lobster `conventionally' because I don't see much of an advantage to doing 'em in the puddle machine (as opposed to some other shellfish which are a lot easier to get just so sous vide), but I don't think there are any problems with doing it sous vide. I don't know the details, but I can't imagine it being an issue. Butter will pasteurise just as readily in a bag as in a pot. Are you sure the issue wasn't the result of using butter as the sous vide medium? It was at Per Se that the inspectors went "OMG WHAT ARE YOU DOING??" because sous vide was a new technique in commercial kitchens at the time. They basically freaked out that the chefs were incubating seafood in a water bath. Maybe they changed their tone now. If you have the chance to tour The French Laundry Kitchen and they are having lobster on the menu, they'll show you the bucketful of melted butter with metal racks that they lower the lobster in. I agreed with SubG that this is easier conventionally. I did it in a regular pot for my butter poached lobster since it was only a 15 minute soak. No point going through the motions for that short amount of time. It was freaking delicious.